My teenager, Emma, is always asking me to make or do something she’s seen online. She’s usually how I keep up with the latest trends because most the time I have no idea what’s going on. She usually wants me to take some challenge like the cinnamon challenge (no way) or she wants me to make this or that. Often I do make the things she wants, and quite frequently, they are tasty. She recently told me about Oreo rice and pretty much begged if I would make it. I thought it might work well with those single serving Minute Rice cups. This is not a sponsored post, but those rice cups are so easy to just add a few ingredients and you have a meal. It’s surprisingly really easy to make, takes a couples of minutes to whip up, and tastes pretty dang good. We put three Oreos in a bowl and soaked them in a couple tablespoons of milk. Then, we turned them into mush. Next, we heated the rice cup for 60 seconds and then heated the Oreo mush for 60 seconds and then combined them. It’s that easy! Combine Oreos and milk. Let it sit for about a minute to soften the Oreos. Then, mash the Oreos until they turn to mush. Heat the Oreo mush for about 60 seconds. Combine and mix thoroughly. Then, serve. Emma was the first taste taster. She had never tried Oreo rice before, and for that matter, neither had I. 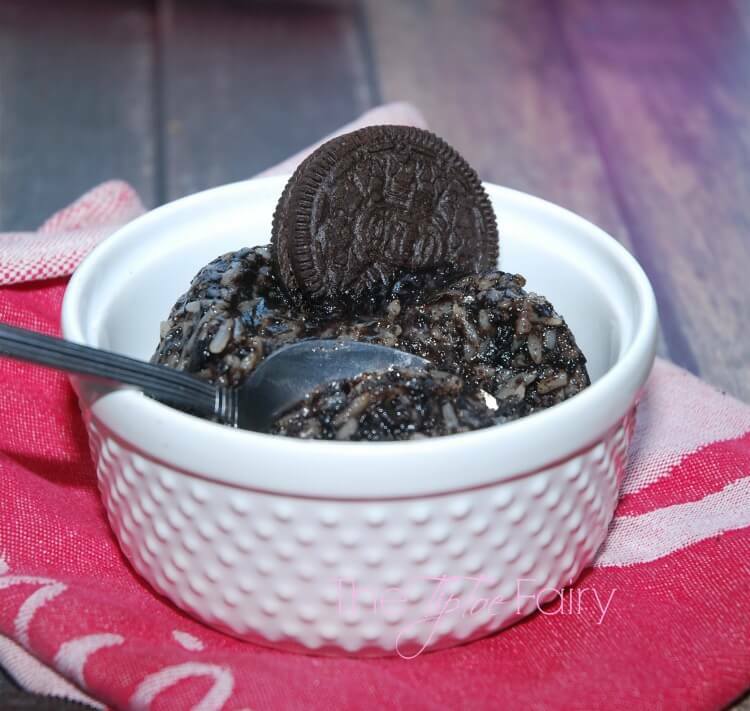 She said it was like eating Oreos in rice — very descriptive. LOL! I thought it tasted like a nice chocolate dessert. I’ve never had rice pudding, so I’m not if it’s the same. But, if you are craving something sweet and something chocolate, this is a great little treat! We did experiment with adding less or more Oreos. If you want it more pudding like, I’d recommend adding a fourth Oreo, and when it’s ready to eat, pour over a third tablespoon of milk or cream on top. 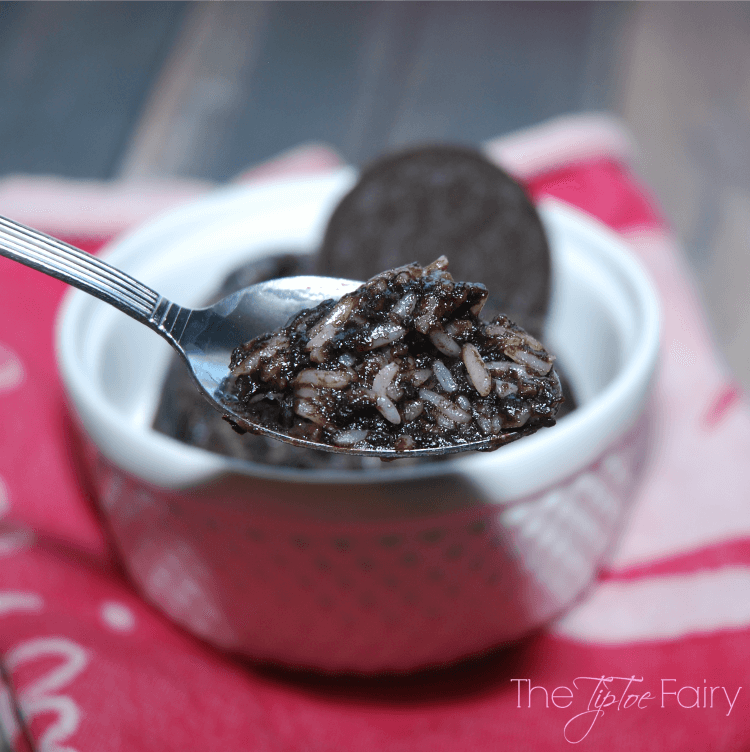 Have you ever tried Oreo rice? Looking for more single serving meals? Check out my Cheesy Broccoli Rice Casserole for One! It’s the perfect meal to take to work! Schlitterbahn – The PERFECT Affordable getaway for Spring Break! Now that is a flavor and ingredient mixture that I never would have imagined. 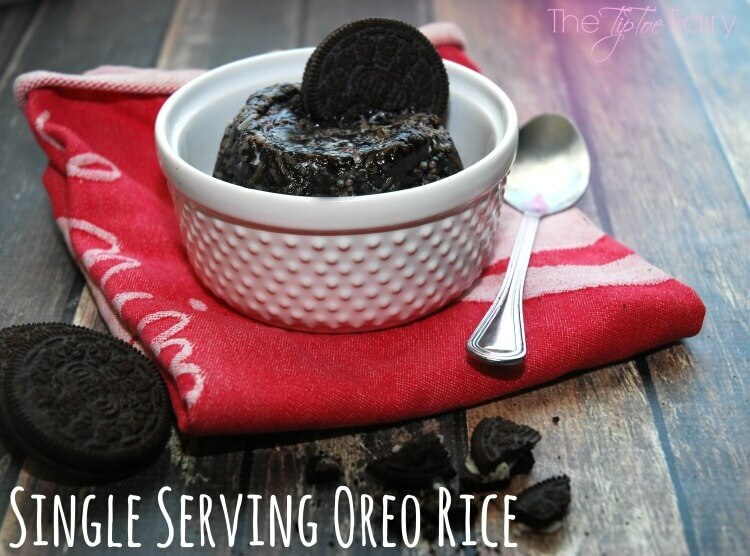 I like rice and I like Oreos, so I guess I would like this! It’s still a little weird for me, but I can’t say I won’t try it! It’s quite easy to do and who wouldn’t love oreo, right? So interesting as to how you can create so many desserts with an oreo. 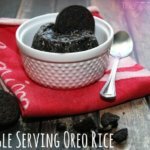 Oreo Rice sounds delicious. For sure kids would love this 🙂 I want to try this. Hm.. It sounds like something I’d love to make and I always have these items handy. That looks yummy! 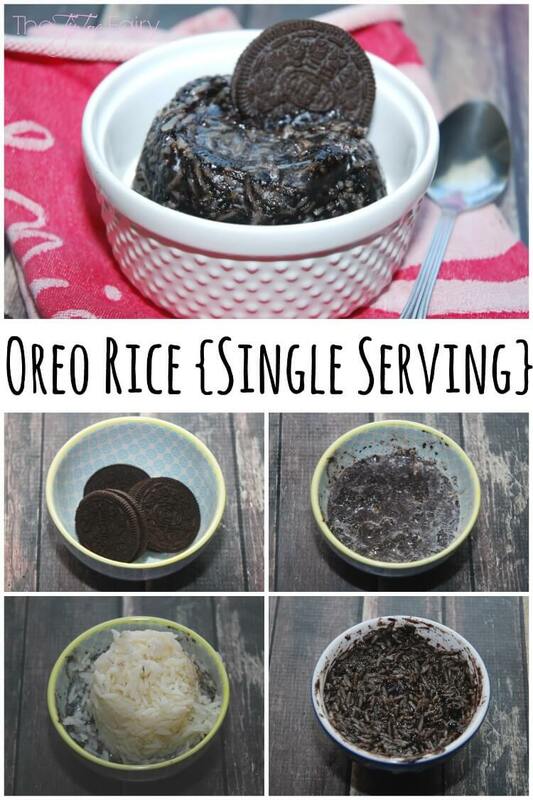 Really want to try it, but of course, family-sized Oreo Rice. Thanks for sharing. Wow! What a unique recipe for an oreo! Good job!